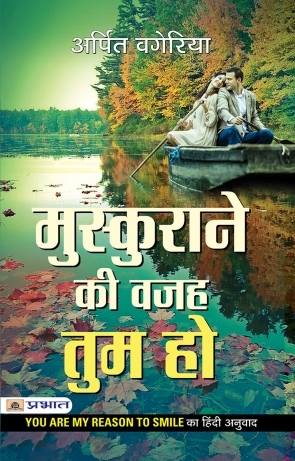 Product description: Muskurane Ki Wajah Tum Ho is written by Arpit vageria and published by Prabhat prakashan. Buy Muskurane Ki Wajah Tum Ho by Arpit vageria from markmybook.com. An online bokstore for all kind of fiction, non fiction books and novels of English, Hindi & other Indian Languages. Arpit Vageria is the bestselling author of You Are My Reason to Smile, Be My Perfect Ending and I Still Think about You. Tata Motors made a documentary featuring Arpit to inspire young generation to read interesting stories. Arpit also writes scripts for shows and award functions like India's Best Dramebaaz, Sabse Bada Kalakar, IIFA Awards and Indian Idol.